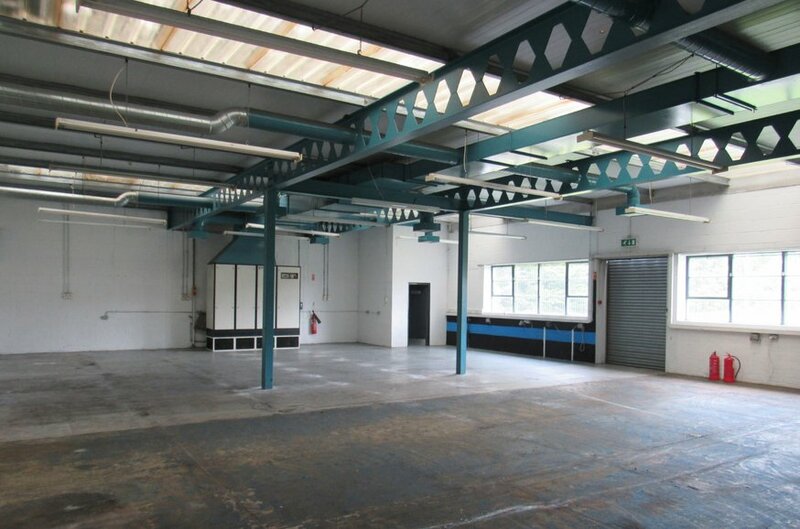 Warehouse and office accommodation c. 5,871 sq.ft. 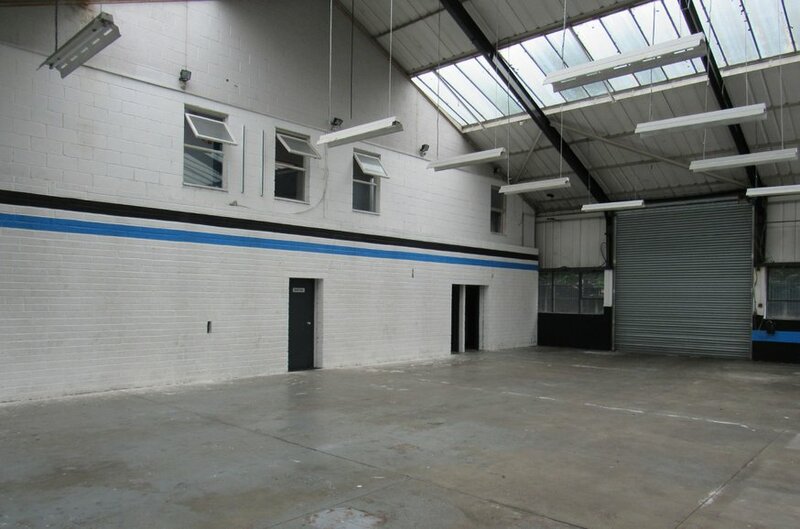 The property is located on the Ballinderry Road, off the Moira Road in Lisburn, approximately 5 minutes from the city centre and easily accessible to the M1 motorway. 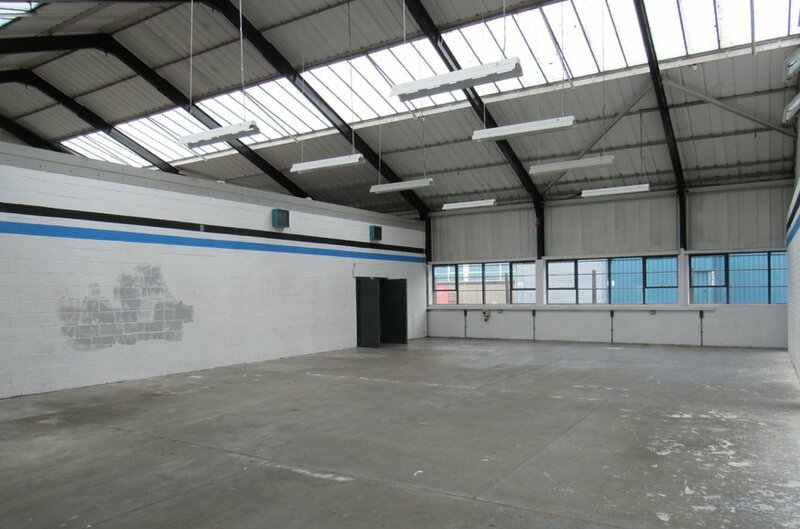 Knockmore Industrial Estate and Enterprise Crescent are located in close proximity. The surrounding area is predominantly of warehousing/industrial and office use. 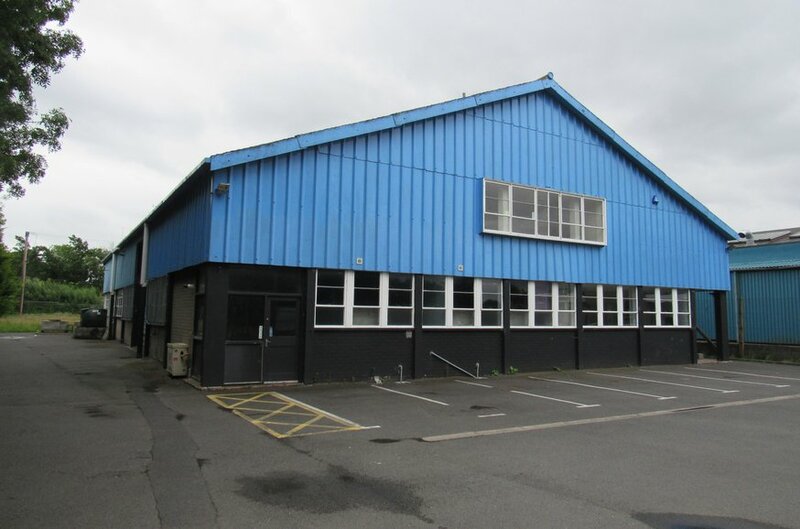 The accommodation comprises a ground floor production area/warehouse with reception, office, kitchen, w.c and shower facilities. 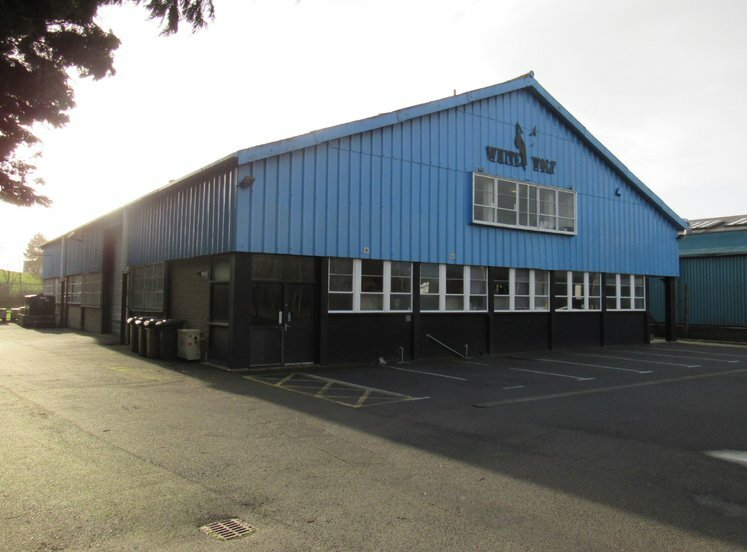 The warehouse is constructed of block walls and upper wall & roof cladding, concrete floors, fluorescent strip lighting, male and female W.C.’s, alarm system and electrically operated roller shutter. 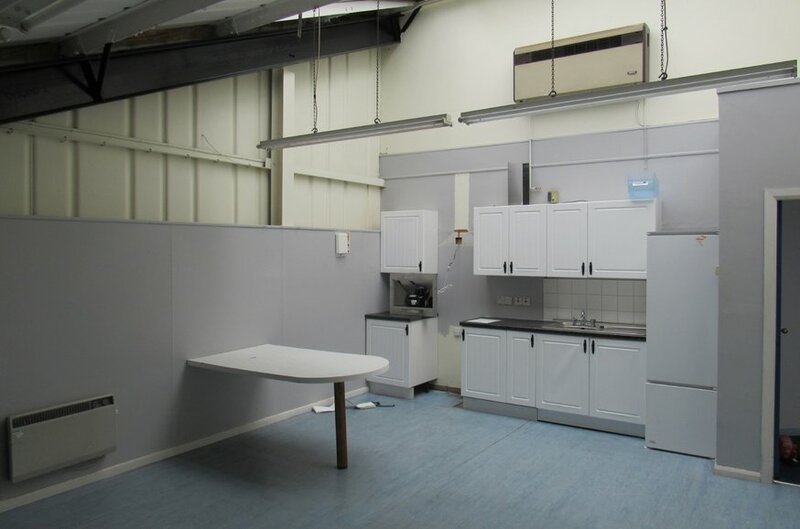 The office accommodation is finished to include wooden and carpeted floors, plastered and painted walls. 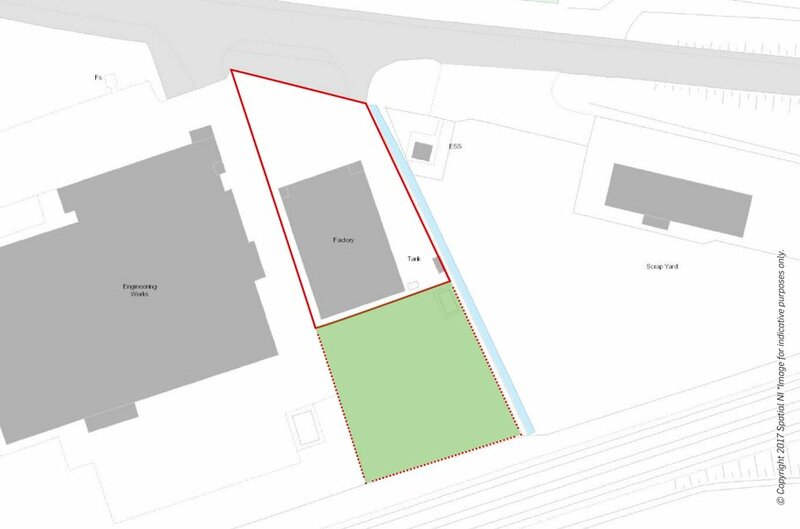 There is the option to lease the rear yard/grass area (shaded green). Further details on request. 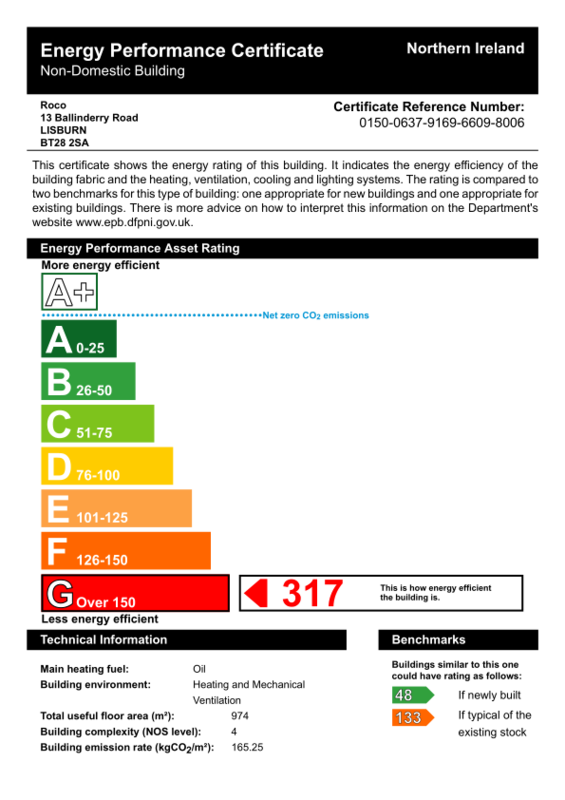 The property has an energy rating of G317.